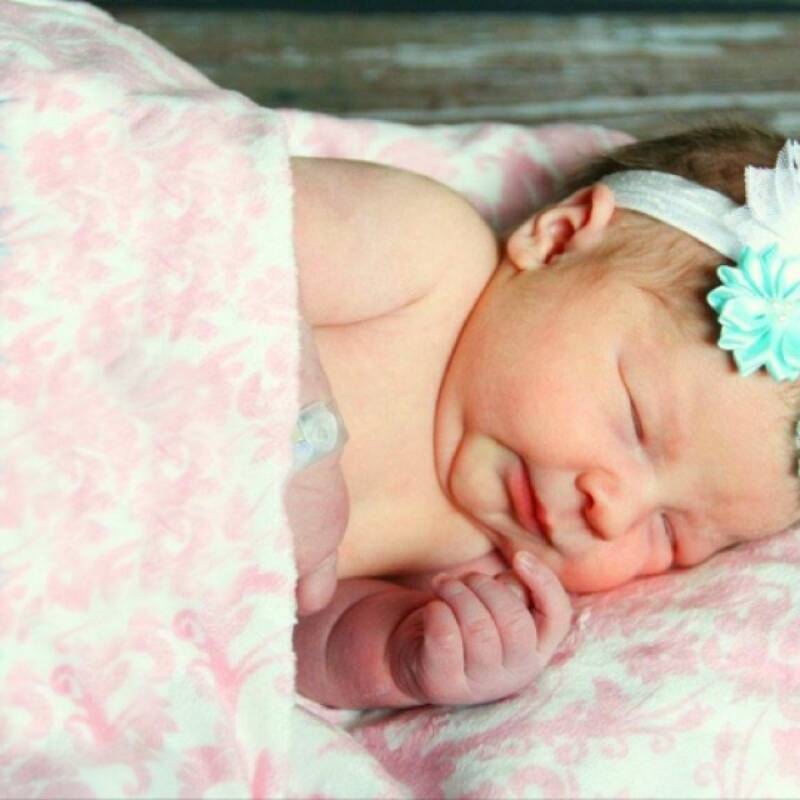 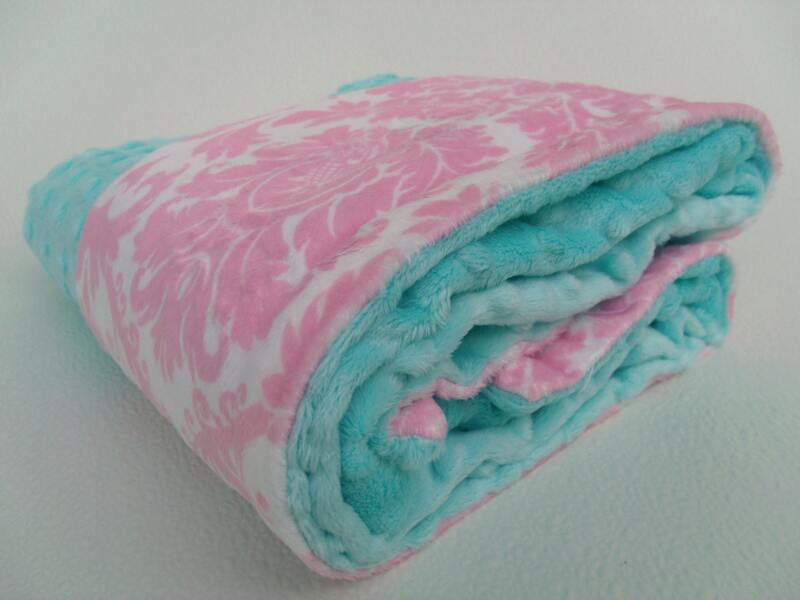 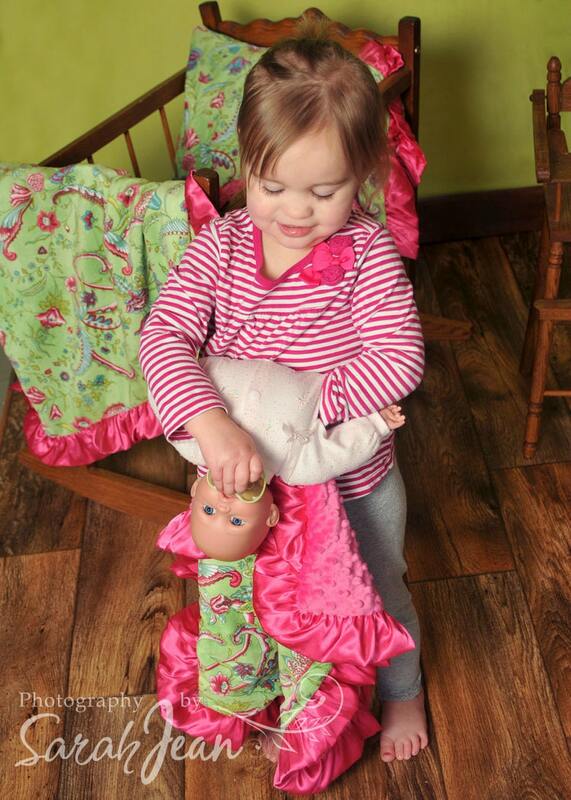 Light Pink minky damask blanket with mint- a staple for any baby girl. 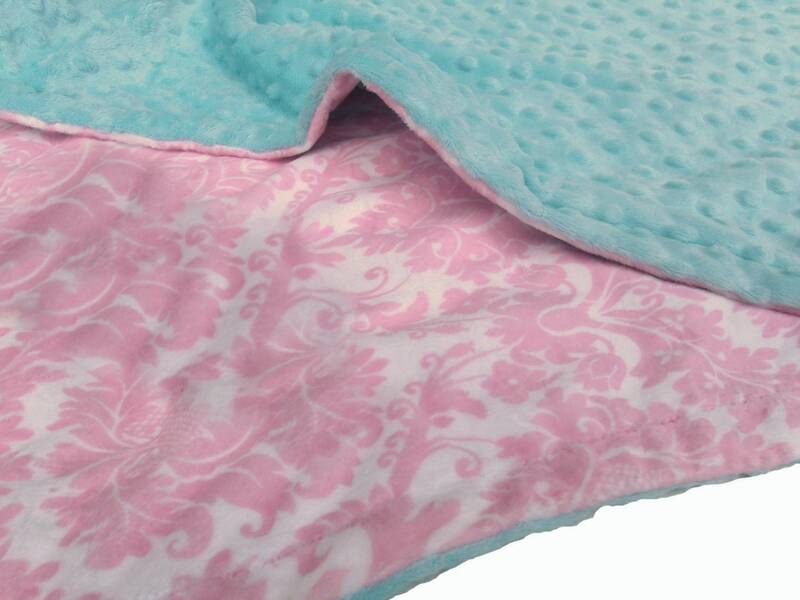 This blanket features pink damask on one side, and mint dot on the other. 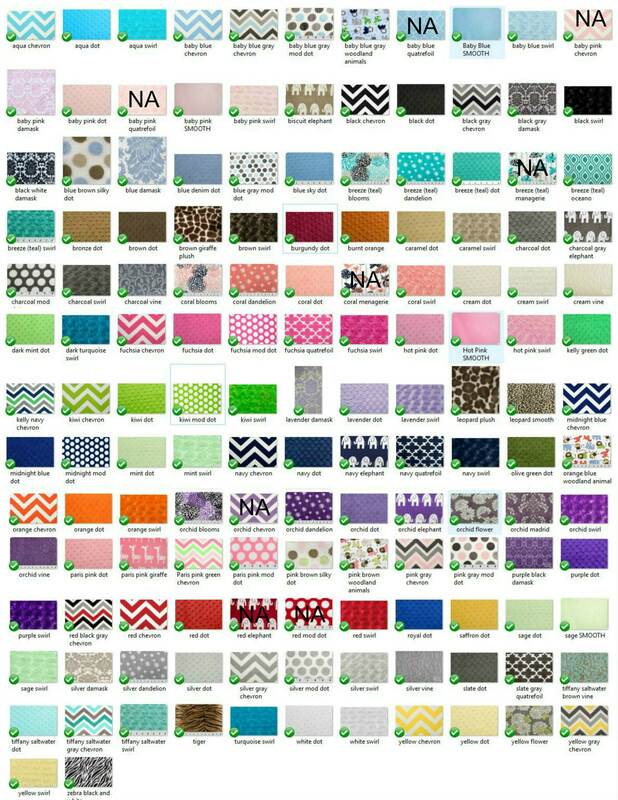 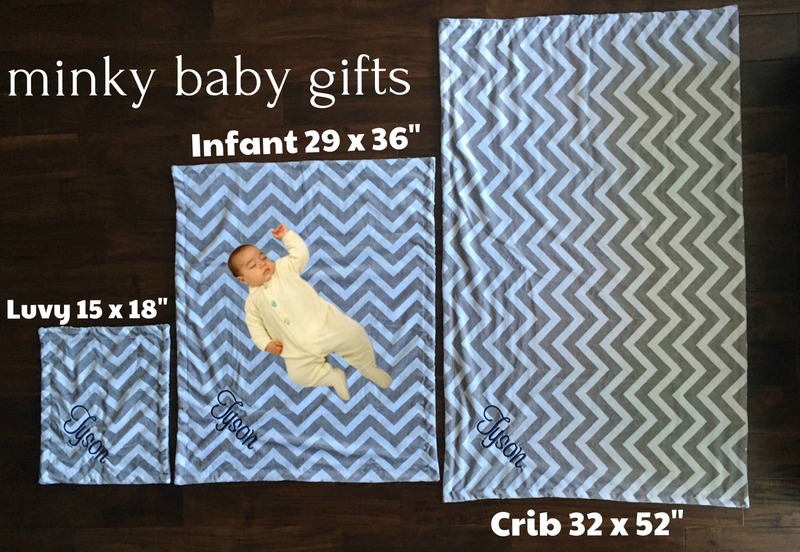 Leave any fabric changes in the notes to seller box, and choose 'change noted below'.